Oakland education advocates say the new Common Core-aligned high school equivalency test is unfairly difficult — and is stopping adult students from moving forward with their lives. Will Smith, a Next Step Learning Center student, said the new GED test was confusing. In 1993, LaKeshia Thomas dropped out of McClymonds High School in West Oakland when she became pregnant during her senior year. In recent years, Thomas, now 39 years old, has been working to secure a full-time job in the healthcare industry. After successfully completing both a certified nurse assistant program and a medical assisting program, she thought it would be relatively easy to find work; all she had left to do was to take the General Educational Development (GED) test. But passing the GED — which grants students certificates of high school equivalency — proved to be much harder than Thomas expected. Despite extensive test prep with Next Step Learning Center, an Oakland-based literacy program for high school dropouts, she failed last year. "It was very frustrating. ... It felt like I was back to square one," she said. "I was ready to just give up." Thomas' struggle is not unique. In 2014, GED Testing Service, the company that makes the exam, dramatically changed the test to align with federal Common Core education standards. 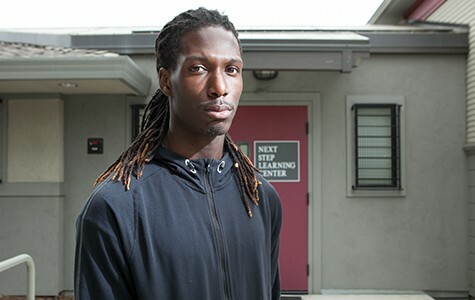 In the process, according to East Bay education advocates and critics across the country, the GED has become significantly more challenging, confusing, and unfair — and as a result is preventing otherwise qualified adult students from moving forward with their lives. GED Testing Service is a joint venture of Pearson (a for-profit testing corporation) and the American Council on Education (a nonprofit education association). The company has argued that the new test is a comprehensive assessment linked to the "college and career readiness" standards of the US Department of Education. But adult education teachers who prep students for the GED say that the new exam is overly rigorous and far exceeds high school standards and thus is blocking adults from entering the workforce. In some cases, students' struggles with the practice GED tests are so great that they ultimately opt not to take the GED at all, according to East Bay teachers. And when students give up on the GED, it becomes substantially harder to find stable employment or move forward with higher education. Comparing the old GED test (which was designed in 2002) to the 2014 version, national and state data reveals a significant drop in both the number of students taking the test and the percent of students passing. In California, according to GED Testing Service data, 72 percent of GED test takers passed in 2011, 68 percent in 2012, and 78 percent in 2013. But last year, under the new exam, only 58 percent of test-takers passed, according to a recent report from the California Department of Education. News reports across the country have suggested significant drops in the number of people earning GED credentials from 2013 to 2014, although GED Testing Service has not yet released its 2014 numbers. In California, while 44,000 to 57,000 students have annually taken the GED in the last several years, in 2014, only 20,000 took the test. That drop is partially due to the fact that California, along with sixteen other states, last year approved an alternative option to the GED known as the High School Equivalency Test (HiSET), which is provided by the Educational Testing Service (ETS), a nonprofit organization. Los Angeles Unified School District, the largest school district in the state, stopped administering the GED altogether last year, relying exclusively on the HiSET. (California also recently approved a third high school equivalency exam option — the Test Assessing Secondary Completion, or TASC — but that provider, CTB/McGraw-Hill has not yet administered it here). Regardless, it's clear that, overall, significantly fewer students received certificates of high school equivalency in the state. According to data ETS provided to the Express last week, in 2014 in California, only 1,803 students took the full HiSET — with 64 percent passing. When combined with the GED test-taking statistics, that represents a drop of more than 35,000 students taking high school equivalency exams. GED Testing Service representatives and state education officials have emphasized that they expected declines in GED participation and pass rates given that the test is new and thus unfamiliar to both students and teachers. But while defenders of the new GED have cautioned against comparing 2014 trends to previous years, adult education instructors have argued that the new test's serious flaws mean that this is not a single-year hiccup. Lee Gargagliano, a Next Step Learning Center teacher, said that 30 to 35 of the center's students typically passed the GED each year under the old test. But last year, only five successfully completed the GED. Some of his students who would have passed the old GED failed the new one, he said, while many more opted not to take the GED because the practice tests clearly signaled that they were doomed to fail. "The new test is extremely difficult," said Gargagliano. "We're now in this situation where instead of providing opportunities, the GED is holding people back. ... It's not helping people get ready for college. It's excluding people who need support." The new GED is entirely computerized, which critics said has made it challenging for some students who aren't comfortable with the technology. Gargagliano said the math portion has also become unreasonably hard, requiring significantly more algebra and geometry knowledge and featuring abstract questions that don't evaluate practical skills. He said that in the name of encouraging "critical thinking," the makers of the new GED have also created prompts that are unnecessarily confusing, such that students often struggle to understand what the exam is asking them. The social studies portion of the new GED, he continued, asks students to read a passage on an obscure aspect of history or government and write a response. As a result, there's little he can do to prepare them for this section. "I had to read the questions five or six times to understand what they were asking me to do," said Thomas, who failed the GED in 2014, but recently passed the HiSET exam. 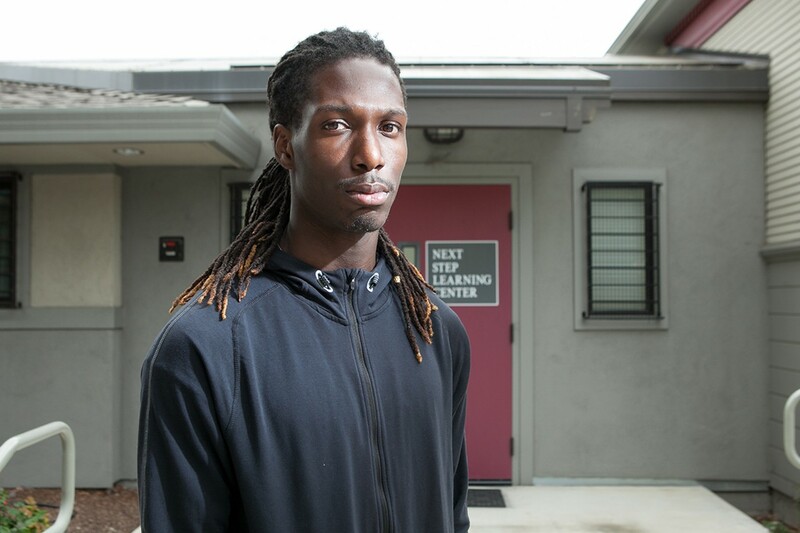 Will Smith, a 21-year-old Berkeley resident and Next Step Learning Center student, told me that he failed the GED math test while he was already enrolled in five courses at Merritt Community College in Oakland. He was even taking college-level algebra when he failed the GED math section. Like Thomas, Smith eventually passed the HiSET exam, which he said seemed much fairer. Regardless, receiving some kind of high school equivalency certificate was important to him on a personal level, he added. "I feel like I sort of missed out since I didn't have a high school diploma or GED," he said. "I kind of felt down about myself." While the HiSET may provide a better alternative — Gargagliano said it is harder than the old GED, but much fairer and easier than the new GED — the test is not yet readily available, and many students don't know it exists. In fact, Next Step recently took a group of East Bay students — including Thomas and Smith — to San Jose so they could take the HiSET. Students can take the HiSET on pencil-and-paper or a computer. Amy Riker, ETS' national executive director for the HiSET program, said in a phone interview that her organization has worked to ensure that the presentation of questions in either format is clear. "The feedback I've received most prominently from students is that [compared to the new GED], they're more familiar with the way our items are presented to them," she said. "It's the type of testing they've taken their whole life. ... The items are designed in a way that it's not exposing students to technology they've never used or never used for standardized testing." David Spring, a Seattle-based educational researcher and outspoken critic of Pearson and the new GED, pointed out that there is research demonstrating how GEDs can help people avoid getting caught up in the criminal justice system. "The amount of people being thrown into prison as a result of the Pearson GED test is monumental," said Spring, who runs the website RestoreGEDFairness.org. CT Turner, a spokesperson for GED Testing Service, declined to be interviewed for this story, but wrote in an email that it would be wrong to compare California's 2014 GED data to previous years, given that the state began offering the HiSET.